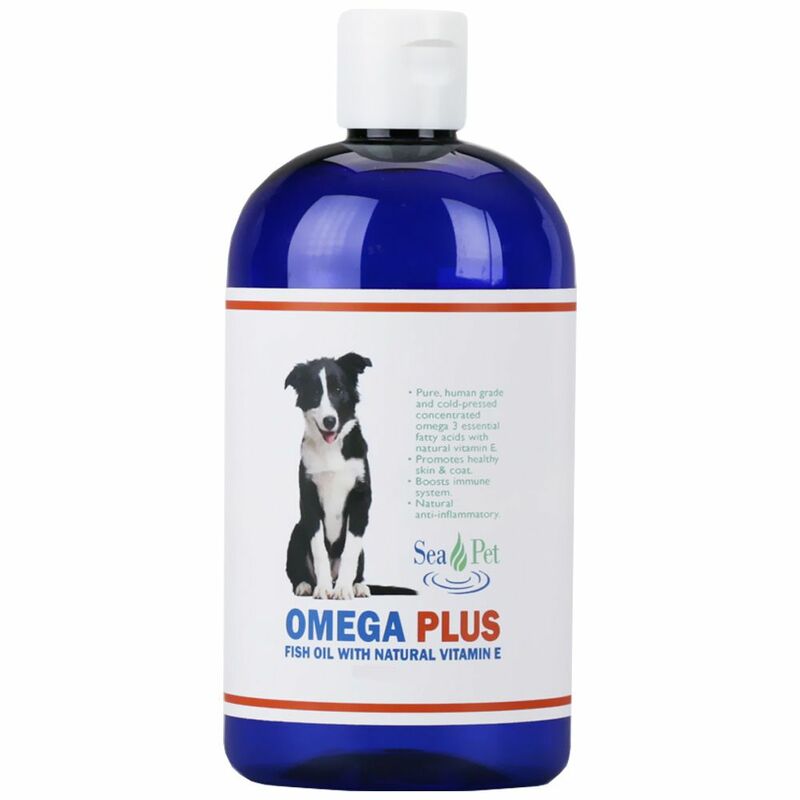 Sea Pet Omega-3 Fish Oil "200" w/ Natural Vitamin E (8 fl. oz.) provides the biologically-available forms of omega 3 essential fatty acids with 200 IUs of natural vitamin E per teaspoon. There are approximately 48 teaspoons in an 8 fl oz bottle. Results are normally seen within 2-3 weeks. After 4-5 weeks, we suggest that you may gradually reduce down to the maintenance level for the continued well being of your pet. Suggested daily amounts - can be squirted onto your pet's normal daily food. My Great Dane loves the taste. No bad door. Poo does not smell.